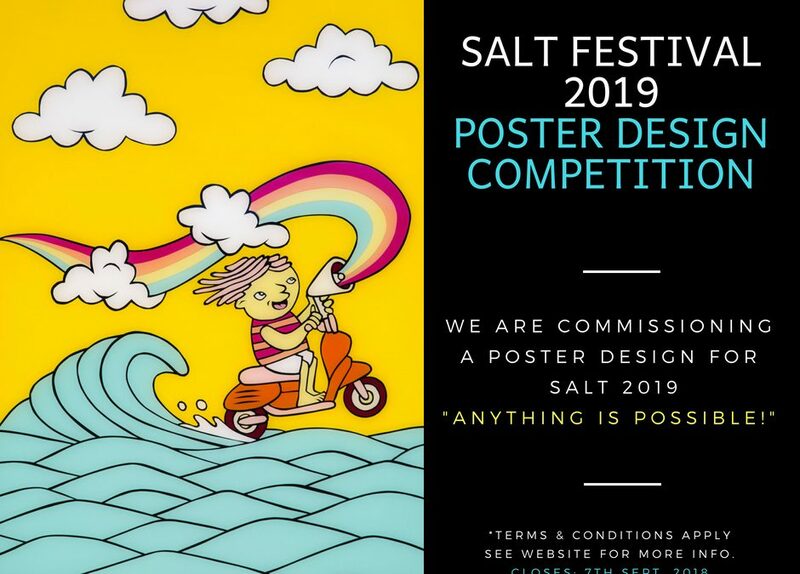 The SALT team are calling for a poster design concept to promote the 2019 SALT Festival on Southern Eyre Peninsula SA April 19 – 28 2019. A brief pitch (Maximum 75 words) explaining why your art says SALT Festival. “Anything is Possible”. Submit your entry in PDF or JPEG to info@saltfestival.com.au with the title SALT Festival Poster Competition. Applications Close – September 7 2018. Organisers may contact artists to discuss concepts as part of the assessment process. The winning designer agrees to exclusive use of the concept by Southern Eyre Arts/SALT Festival. The SALT Festival 2019 poster will be a commissioned work. The winning entrant will develop his / her concept to completion by an agreed date under the direction of the competition organisers with payment at completion. Note: SALT Festival are considering staging an exhibition of selected designs as part of the 2019 SALT festival and will contact entrants to discuss should this concept proceed.